Tamara Witcher completed her Teacher Training with Annie Jacob and is an Anusara Elements™ Teacher, a 200 RYT through the Yoga Alliance. She supports the studio in it's daily operating as well as marketing, community outreach and retail. She was drawn to Yoga and Meditation as a source of solace through some challenging life experiences and her personal practice continues to encourage her to grow in all aspects of her life. She lives in Howard with her husband and her two dogs and looks forward to sharing the practice with you! Wellness and health has been a lifetime pursuit for Kate McMahon. She completed her first degree in Exercise Science and Wellness from Bastyr University in 2005. She continued her schooling obtaining her degree in Nursing in 2009. Kate has work for the past 10 years at St. Anthony Hospital in Neuro – Truma ICU. Kate found Yoga in high school and has been an avid practitioner exploring Anusara, Hatha, Iyengar, and Vinyasa. She completed her 200 hour yoga training with Yoga Medicine in 2017. Kate combines her love of science and yoga to help enhance the mental, spiritual and physical effects of the practice. Katie graduated with her clinical doctorate in physical therapy from Gannon University in Erie, PA. Since this time, she has had clinical, volunteer, and teaching experience both abroad and in the states, in a variety of different settings including: outpatient orthopedics, neurological rehabilitation, pediatrics, acute hospital care, home health care, and yoga retreat/wellness centers. Katie began pursuing continued education in Eastern Healing modalities, including therapeutic yoga after witnessing the benefits her yoga practice brought to her own life. She began her therapeutic yoga journey in Victoria, British Columbia where she studied with Nikki Manzie at Pacific Rim College. Currently, Katie is studying and training with Ginger Garner, founder of the Professional Yoga Therapy (PYT) method: a post-graduate certification program in medical therapeutic yoga. PYT is an evidence-based training for health care professionals to use yoga in an integrative biopsychosocial model of assessment. (https://proyogatherapy.org/) With continued interest in fusing Eastern and Western techniques into her therapy practice, Katie has also studied Thai Yoga Massage, a system of unique and ancient bodywork developed in Thailand with extensive roots in the Indian healing arts, Yoga and Ayurveda. Wishing to share her knowledge and love for the art of healing, Katie also teaches anatomy and biomechanics classes and workshops, fusing her varied background of physical therapy, Yoga, Ayurveda, and Thai massage. 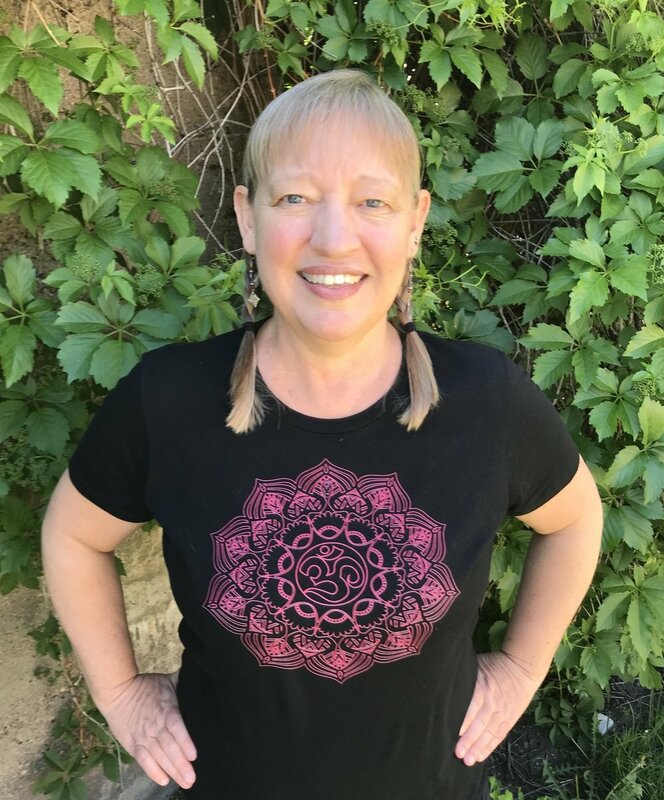 Katie’s intention is to encourage and assist patients, clients, and students to bring more awareness to their physical, mental, energetic, and spiritual beings. Integrating both Western and Eastern techniques, she hopes to empower one’s ability to improve their overall health, wellness, and happiness to live his/her unique and individual life to the fullest. Emily found her way to yoga while studying fine arts in college. She was particularly inspired by the body in movement, and this interest was what eventually led to her to a Vinyasa Yoga teacher training with Stephanie Keach in 2009. Emily has taught periodically over the years while continuing to deepen her wisdom in movement and the healing arts. She is a Certified Rolfer, Massage Therapist, Cranial Sacral Therapist, and Soul Art Guide. Her bodywork background provides a unique perspective on alignment, while gifting her students with an intuitive touch in class. Her continued Soul Art training brings a creative flare to her yoga classes, reminding us all of our own unique wisdom, intuition, healing, and creative potential. Her personal yoga practice and teaching is not only influenced by all of these powerful trainings, but also by the traditions of Forrest Yoga, Anusara Yoga, Kung Fu, Ninjitsu, as well as Native American spirituality. Emily encourages a joyous and mindful exploration of both body and Soul in her classes, meeting her students at their edge to facilitate continued growth and transformation in their yoga practice and on their life journey. Her intention is to approach her classes with immense compassion, presence, listening, and inspiration so that she can support each person’s unique journey and profound inner wisdom. Stephanie has enjoyed physical activities and has been an athlete her entire life. This naturally drew her to yoga. The physical practice intertwined with the spiritual practice is what motivated her to make yoga an integral part of her daily life. Stephanie completed the Iyengar teacher training in 2011 at the Academy of Yoga in Grand Junction, CO. During that time her 2 children were born. This gave her the opportunity to cultivate a dedicated home practice. She completed the 200 hour meditation teacher training in December 2017 through The Veda Center. She is a teacher at heart and taught elementary and middle school students on the western slope for 7 years. Her passion in teaching yoga is to encourage others to turn inward and strive to feel their best. Chanda is a Colorado native, devoted seeker, adventurer and explorer. The practice of yoga as integration is the wellspring of inspiration at the center of her life. This year she celebrates 5 years teaching at The YogaTonic and 14 years of study under the direct guidance of Yogi Amrit Desai, one of the last great living yogis of our time; and his daughter, Yogeshwari Kamini Desai, PhD. She is trained in the Integrative Amrit Method of Yoga, Yoga Nidra, Quantum Breath Meditation and Body Psychology (Yoga Therapy), as well as certified in Thai Yoga Therapy and Marma Chikitsa (Ayurvedic vital energy point balancing), and is a long-time student of Ayurveda. She continues to work closely with Yogi Desai and enjoys a full-time practice of embodying and sharing yogic knowledge. She offers individual sessions, classes, workshops, retreats as well as certification trainings on behalf of Amrit Yoga Institute. Priti Chanda’s offerings at The YogaTonic are designed to empower you with yogic tools, teachings and techniques to realize your fullest expression in every area of your life. Sara moved to Salida from Flagstaff, AZ where she received her degree in physical therapy. She previously taught and studied in Northern Idaho where she earned her Anusara-Inspired Training in 2012, a style whose principles even informs her PT practice because of its universal value in healing the body. She also has a strong background in Iyengar Yoga, which taught her the joy of props as tools to bring yoga to all ages and abilities, including students with injuries, people with Parkinson's Disease, and post-surgical patients. She has been practicing yoga for 14 years now because she sees in her personal practice and teaching that yoga reminds us all of the benefits of movement, helps us regain lost motion, and reconnect with what is important in our busy lives. She believes yoga can guide us to find the peace among the chaos and so often teaches class at slower, mindful pace with warm up and sequencing designed to open up new possibilities in the body and heart. She is thrilled to be part of a studio that also values creating community, since we go much farther down our personal path when we practice alongside others seeking the same peace.